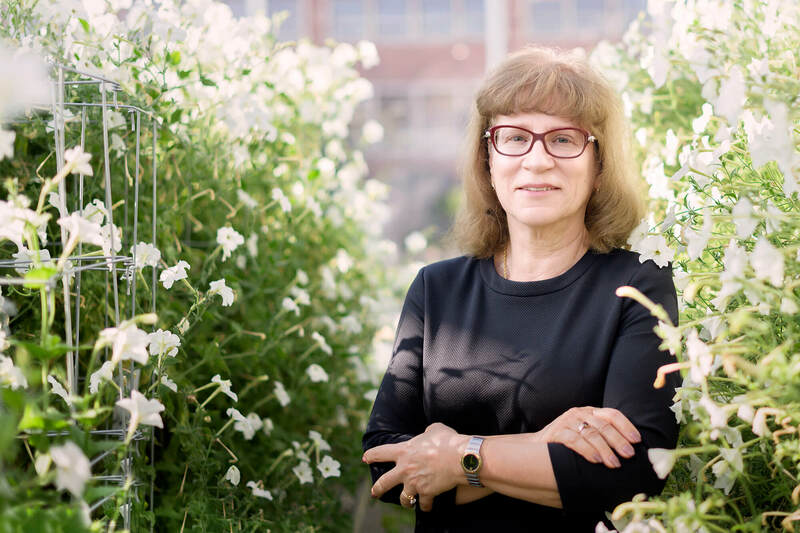 Natalia Dudareva has uncovered the switches that control terpenoid production in plants. The findings may lead to methods for increasing production of the compounds that have a wide range of uses, from fragrances and flavorings to biofuels and pharmaceuticals. Purdue University scientists have discovered the switch in plants that turns off production of terpenoids, compounds that play roles in plant physiology and are used by humans in everything from fragrances and flavoring to biofuels and pharmaceuticals. Terpenoids can be used to develop nutritional supplements, natural insecticides and drugs that treat malaria and cancer. The chemotherapy drug Taxol, which is used to treat breast, ovarian, lung, bladder and prostate cancers, is derived from terpenoids. But plants often make them in such low quantities that extracting them for such uses is impractical. The findings, reported in the journal Nature Plants by Natalia Dudareva, Purdue distinguished professor in the Department of Biochemistry and researcher in the Purdue Center for Plant Biology, Laura Henry, a recent doctoral graduate of Dudareva’s lab, and colleagues from Purdue and the Salk Institute for Biological Studies, explain how plants control metabolic pathways by regulating the pool of monophosphates used for terpenoid production. The scientists had earlier determined how plants turn on terpenoid production but having an understanding of both the “on” and “off” switches is essential for terpenoid yield. They also discovered a hidden constraint on flux through the plant terpenoid metabolic pathway. Isopentenyl phosphate kinases (IPK) convert pools of monophosphates into diphosphates that can be converted through downstream processes into terpenes. Dudareva and colleagues determined that two Nudix enzymes are responsible for dephosphorylation – removing a phosphate group to turn the usable diphosphates back to the inert pool of monophosphates. Dudareva’s lab is now working on methods to engineer plant metabolic pathways to increase terpenoid production. “It might be that we have some compounds that aren’t naturally in a plant, but we can put a gene of interest in them to create the compounds we want or significantly increase their production,” Dudareva said. The USDA National Institute of Food and Agriculture and Purdue University funded this research.